The cornea is your eye’s outermost layer, and it plays a vital role in focusing your vision. The cornea works by refracting light as it enters our eye, focusing it onto our retina. This determines what we can see and how clearly we can see it. The cornea is shaped like a clear dome, and it also functions to protect your eyes against damage caused by dirt, germs, and more. Unfortunately, the corneal tissue is extremely delicate and can easily be damaged or affected by other problems. When this happens, it can compromise your vision and harm the overall health of your eyes. While it is possible for your cornea to heal itself after minor injury or infection, the support of a trained and experienced ophthalmologist might be necessary to save your vision. In addition to diagnosing and treating refractive eye problems, here at Progressive Ophthalmology, Dr. Ahdoot and our expert team can diagnose and treat a wide variety of external and corneal diseases. Below are some of the most common external and corneal diseases. 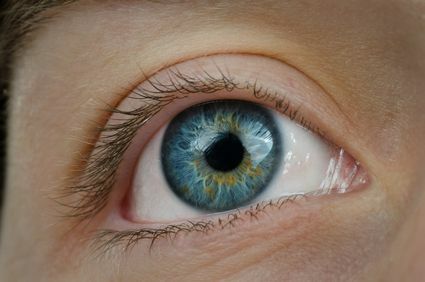 This condition is characterized by inflammation of the thin, transparent layer of tissue that lines the inner eyelids and the outer surface of the eye, medically known as the conjunctiva. You may have heard it referred to as ‘pink eye’ or ‘red eye’. It usually occurs as a result of a viral infection, and while some patients may experience a short episode of conjunctivitis that then goes away, others may suffer from the condition for much longer or find that it becomes a recurring problem. Also known as keratitis, corneal infections can occur as a result of bad bacteria entering the eye or damage to the cornea from an injury or trauma. In rare cases, they can also be a complication of wearing contact lenses. Corneal infections can cause discharge from the eye, reduced vision, and even permanent damage to the cornea which results in the need for a corneal transplant. Dry eye is a fairly common condition that occurs when the natural tear production is compromised. Although it can occur in anyone, it is more common in patients who have previously undergone laser eye surgery, in contact lens wearers, allergy sufferers and patients who spend a lot of time staring at a screen. Symptoms include scratchiness, soreness, and difficulty blinking. If you spend a lot of time outdoors in bright sunlight, windy or dusty conditions, you may suffer from a pterygium at some point in your lifetime. These pinkish, triangular-shaped growths of tissue appear on the cornea, normally when a patient is between 20 and 40 years old. Some pterygium continue to grow throughout a person’s life while others reach a size then stop. Some pterygium obstruct a patient’s vision or cause visual distortions by increasing the amount of irregular astigmatism. Pterygium may be removed through a safe advanced procedure. Our eyes are extremely delicate, and we should take steps to protect them. Nevertheless, accidents and injuries do occur, and many eye injuries involve scratches to the cornea. If these are fairly superficial then they should heal with little cause for concern. However, if the damage is more substantial and affects the cornea more deeply, the healing process could cause the cornea to become scarred. If this happens, you might experience pain, sensitivity to light, blurred vision, watery eyes, redness, and other ocular problems. If your cornea is deeply scarred, you may need to consider a corneal transplant. If you are concerned about your corneal health, call Progressive Ophthalmology today at 718-565-2020. If we find that an external or corneal disease has developed, we can recommend the best course of action and promptly start you on the best treatment to preserve your vision and your ocular health.